Too bad this isn't going into production. Yet. 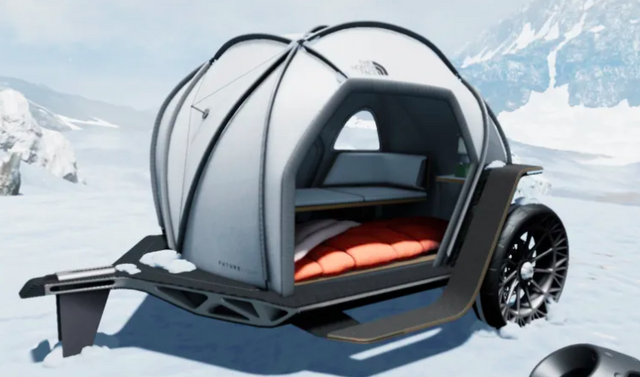 North Face had BMW design a small camping trailer to show off their new better-than-GorTex breathable waterproof fabric. Sort of a fabric and carbon fiber teardrop trailer. But it's just a concept piece. cool! If it was orange it would kinda look like Cinderella's pumpkin carriage. That might encourage actual production.